The NBA off-season is always interesting, in part because you get to see regular-season and playoff opponents either working together on the court, or sparring once again as foes. In the tweet below, Terry Rozier and John Wall go at it. 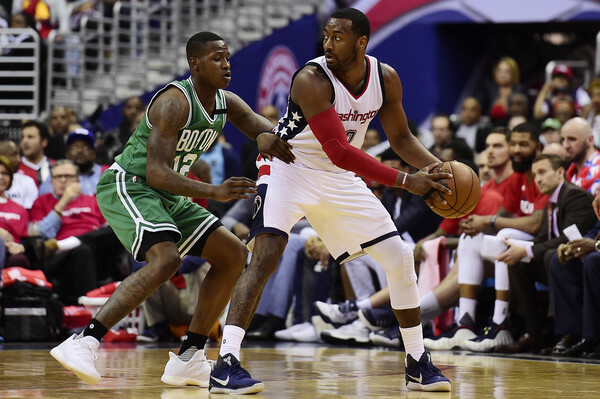 If the Celtics end up as the number-one seed in the East and Washington slides once again into the 8th seed, the Terry Rozier/John Wall match-up in the video may be a prelude to Round One of the 2019 Eastern Conference playoffs. However, if you listen to Wall, he thinks the Wizards have a shot at one of the top seeds in the East.